The Stella Mirror is generously scaled and beautifully shaped. 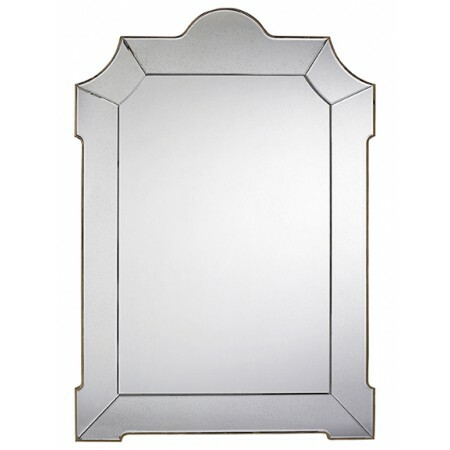 The form has a heavily antiqued flat mirror border surrounding a lightly antiqued mirror field. Stella is the only finish as shown.